“We’ve been transforming lives since 2009 through our Synergy Fusion™ program that delivers the most effective strength training and weight loss program available. Synergy Strength Training classes follow short-burst high-effort intervals including strength, core, and conditioning all in one workout to make you super fit to be better at anything you do whether it's athletically in a sport, playing with your kids, or just moving better in your everyday life. Yes ABSOLUTELY please do bring your friends and family BECAUSE we KNOW community exercising together experience even better results together. Our workouts are about 45-50 minutes. This includes warmup and cool down. WHAT IF I AM REALLY OUT OF SHAPE AND SUPER NERVOUS? Yes we were all in your shoes before and we literally start new people at Synergy every day. Trust me, you’ll be 100% totally, completely fine. Take the first step and come check us out for yourself to see first-hand how NOT-SCARY we are. For greatest results we recommend you come 3-4 times a week. Membership includes supervised child care! Our group training memberships give you the ultimate flexibility, without contracts! Give us a 30 days notice to cancel anytime (even though you won’t want to). Workout with your kids for no additional charge! (up to 15yrs). Supervised child care is included. Our facilities also include a self-training area with kettlebells, state of the art powerlifting equipment, and a private training room with treadmills, rowers, and more for members to use anytime we're open. If you want to try us out before you join, please register for our 2-Week Free Trial. We also offer discounts for Military, Police, & Fire Fighters. Private Training is available for anyone wanting a custom program. Click here for information. WHAT IF I FEEL LIKE I CAN'T DO SOMETHING? We lead you and focus on what you CAN do each day and modify everything you need so you keep progressing forward. Synergy's professional coaching team is so supportive because we teach you proper technique and correct movement patterns so you maximize your workouts for your best results. 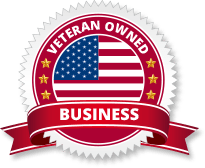 We are a veteran owned business and give $10 monthly memberships to active duty military personnel. 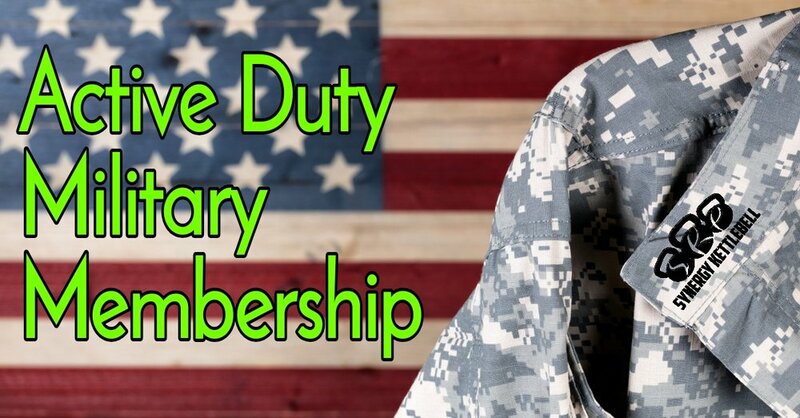 Veteran membership discounts are also available. We trim out the excess and our focus is on the one thing that matters most: RESULTS. Results are what you expect and results are what you get at Synergy! We have fun using Russian Kettlebells, barbells, medicine balls, wall balls, battle ropes, TRX trainers, big tires for sledgehammer slamming (great anger management! ), and more because we find we get better and quicker results by making our body our machine instead of using machines for exercise. I Have ____ Injury OR Am Unable To ____. Can I Still Participate? YES!! We are experts of modifying and scaling every exercise for any situation and need you might have including injuries, tight muscles, and old, creaky joints. At Synergy Strength Training we challenge the status quo of traditional exercise by first and foremost having a strong community of like-minded people whose goal is to improve ourselves every day and our community is the backbone to our success. We realize many exercise programs can work okay, and maybe they will get you results; however there’s certainly no guarantee that they will. So we decided to think about exercise differently. Together we come without the use of machines to shape us, but instead we use our bodies as our machines, Russian Kettlebells, barbells, and more as our tools, and teach our bodies to get in the best shape we can! Each day you be working toward your fitness goals, but you'll be surrounded by an AMAZING encouraging and fun community that goes way beyond just exercise. That's Synergy! An independent study by the American Counsel on Exercise (A.C.E.) confirms that kettlebell training IS the ULTIMATE form of conditioning! The results of the study revealed that the subjects “were burning at least 20.2 - 28 calories per minute (that’s over 600 calories in 30 min), which is off the charts. That’s equivalent to running a 6-minute mile pace.” Not only is the caloric expenditure of the Kettlebell workout very high, but the long term metabolic effects of integrating a total body workout turn your body into a fat burning furnace long after the workout is finished. YES, I AM READY TO START!